Our family and home do more to shape who we are more than anything else. It is only appropriate that we look at where we come from. 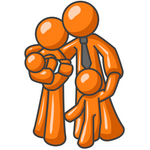 This category covers our relationships with our parents and children. Also, our siblings and spouses and extend family. What do you want to do with your retirement? Did you ever want to change your name? If is to what? There is a reason why Question and Quest have the same root word. They both come from the Anglo-English queste. Same they both in involve seeking or pursuing something. When viewed in light of the quests from the days of chivalry it difficult to imagine Sir Galahad leaving on a quest and not knowing what he is seeking. Likewise you should know what conversational your goals are and build questions to match.